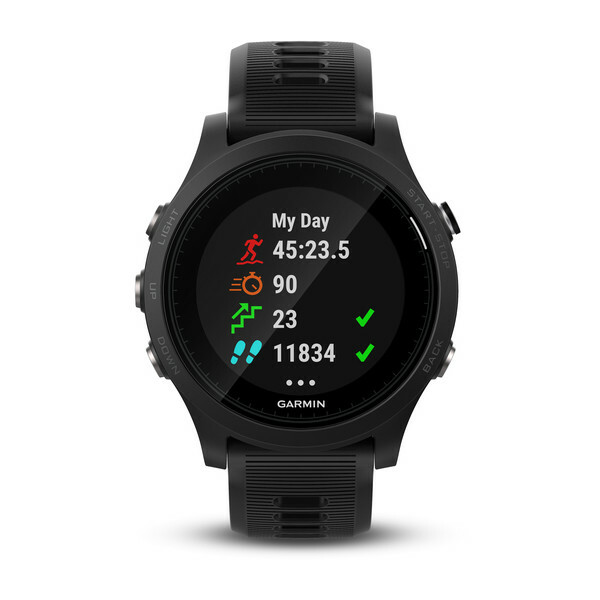 Offers advanced running and multisport features in a comfortable watch you can wear all day, and it only weighs 49 grams. Provides elevation changes with a built-in barometer; altimeter and electronic compass help you keep your bearings. Evaluates your training status to indicate if you’re undertraining or overdoing it and offers additional performance monitoring features. Provides advanced dynamics² for running, cycling and swimming, including ground contact time balance, stride length and more. Battery life: up to 2 weeks in watch mode, up to 24 hours in GPS mode, up to 50 hours in UltraTrac™ mode (with wrist-based heart rate), or up to 60 hours in UltraTrac™ mode (without wrist-based heart rate). This Bundle contains 2 items: (1) Bose SoundSport Pulse Wireless Headphones - Power Red & (1) iOttie RapidVolt Mini Car Charger Built-in heart rate sensor makes it easy to track your performance. Bluetooth® and NFC pairing so you can connect to your devices wirelessly StayHear®+ Pulse tips provide a secure and stable fit for your most intense workouts. The Bose® Connect app gives you real-time heart rate readings, and continually adds more functionality to your headphones.